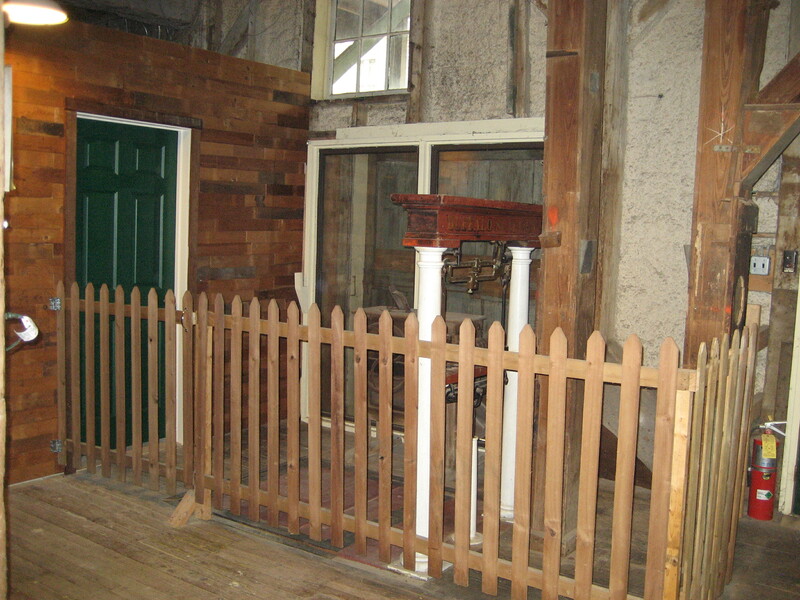 The Buffalo scale is located on the first floor near the 2nd street door and served the third floor grain elevator. This was the smaller grain elevator that we repaired and was operational. 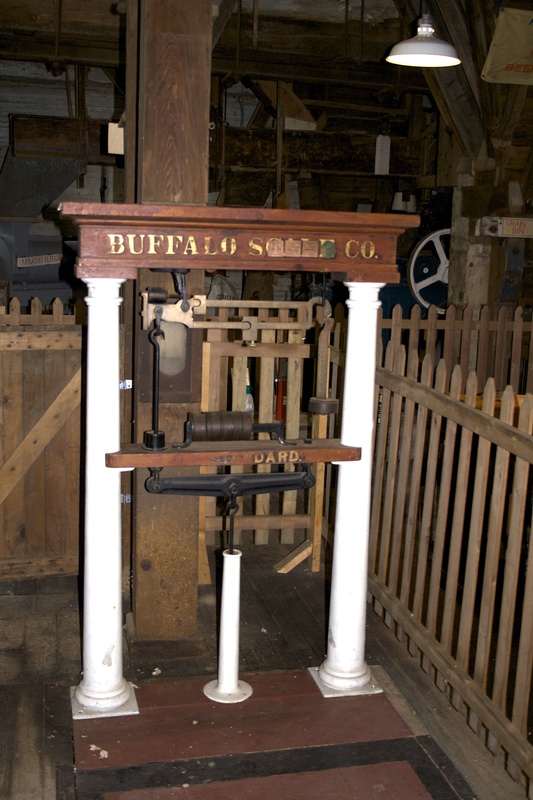 Unlike the Fairbanks scale that weighed the bin in the basement, the Buffalo scale had a platform on the first floor and you could still weigh yourself accurately on it- in bushels.